Allentown is known for being located in four counties. 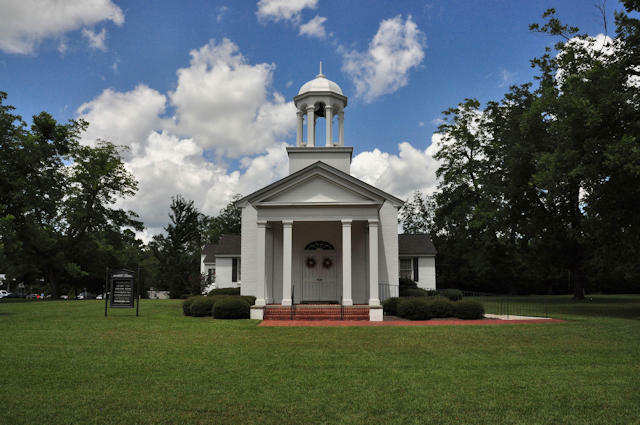 The majority of the community, though, is located in Wilkinson County. Elizabeth Copeman writes: Allentown was first called Cross Roads, then Cool Springs, then Allen’s Cross Roads and finally, Allentown. Allentown was named for Mr. Willis Allen, the first merchant and large landowner. His store was at the location where the store in the picture now stands. The store in the picture is believed to have been built c. 1900 by Isaac A. Adams. It was first run by I.A. Adams and later by his brother E.C. Adams and later by Leo White Adams, wife of E.C. Adams. Sallie Dickens purchased the store c 1912 and rented it to I.C.G. Rabun who operated it from 1914-1919. Joseph Dickens operated it froom 1919-19224 when it was subsequently operated by E.C. Adams until 1935. 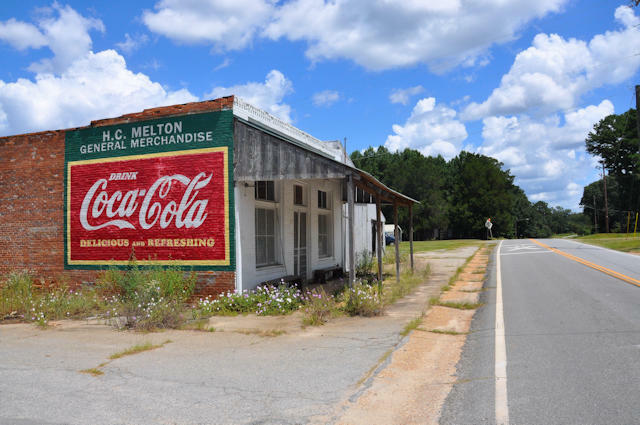 In 1946, Mr. H.C. Melton purchased the building, remodeled it and opened it again as a store.It was Mr. Melton who painted the building for the first time. Erected on 12 October 1934 by the Georgia Society and John Ball Chapter of the Daughters of the American Revolution, this marker is located on the lawn of the beautiful Allentown Methodist Church. 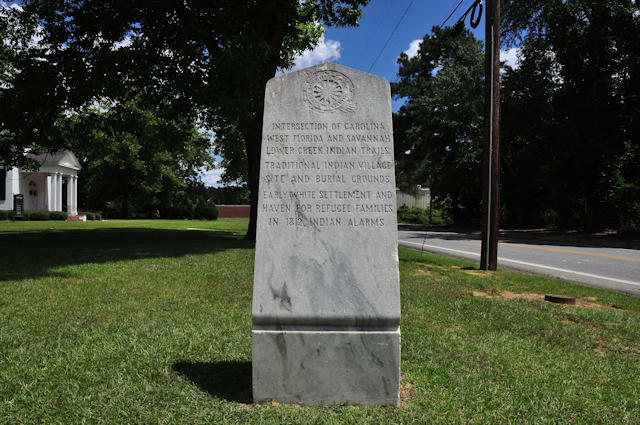 It glorifies early white settlers who helped run Native Americans off land that was rightfully theirs, so I’m glad that such a commemoration would likely not be considered today. Nonetheless, its integral to the history of the area. It reads: Intersection of Carolina, West Florida, and Savannah Lower Creek Trails. Traditional Indian Village Site and Burial Grounds. Early White Settlement and Haven for Refugee Families in 1812 Indian Alarms. Though I can’t find a reference to the “Indian Alarms” in a quick scan of the literature, I’m sure the term “haven for refugee families” suggests that Allentown was an early outpost in the westward expansion of Georgia. As the modern sign on this nicely restored structure notes: John T. Land sold anything that might be needed in a small farming community like Allentown: Dry Goods. Groceries. Plantation Supplies. Elizabeth Copeman writes: John T. Land lived from 1846-1918. He built the store pictured above in the early 1880s. The attic of the store served as the living quarters for Mr. Land until he built his residence in Allentown around 1888. 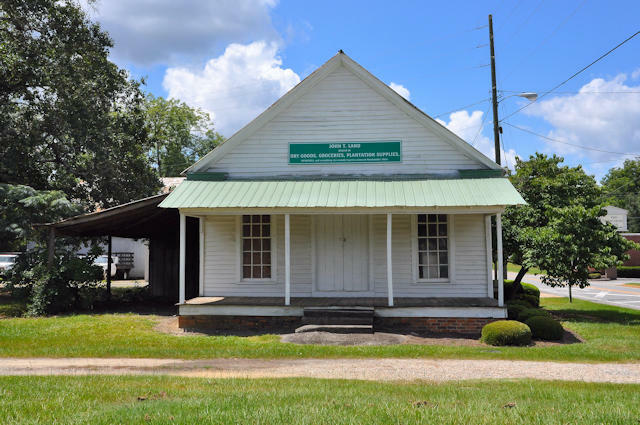 The building was acquired on September 20, 1897 by the merchant firm of Wade and Meadows. Peter Meadows acquired sole ownership of the property in 1901 and continued operating it as a mercantile store. 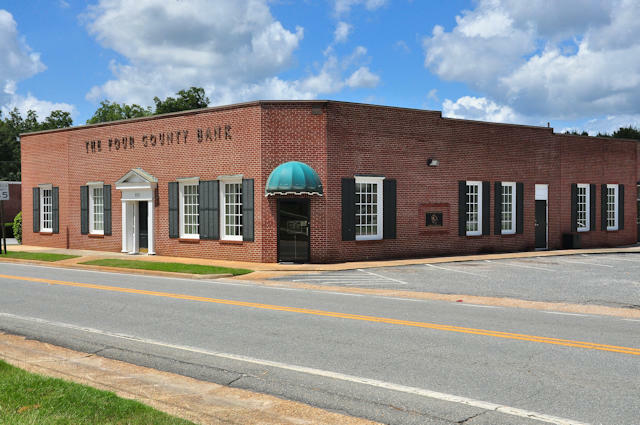 Peter Meadows gave the property as a security deed to Adams Brothers Company, a grocery supplier from Macon. In 1916, the Adams Brothers Company sold the property to Sarah Payne, wife of Joseph Dickens. In 1946, the property was included in a land parcel sold by the Dickens heirs to James Ellijah Davis and A.T. Land, Sr. In 1950, the building was being used as a mercantile store by Samuel Meredith King and his nephew John Oscar Adams. King and Adams operated a rolling store from this site. This building and the Allen house are the oldest remaining structures in Allentown. Allentown has the unusual distinction of being located in four counties: Wilkinson, Laurens, Bleckley, and Twiggs.